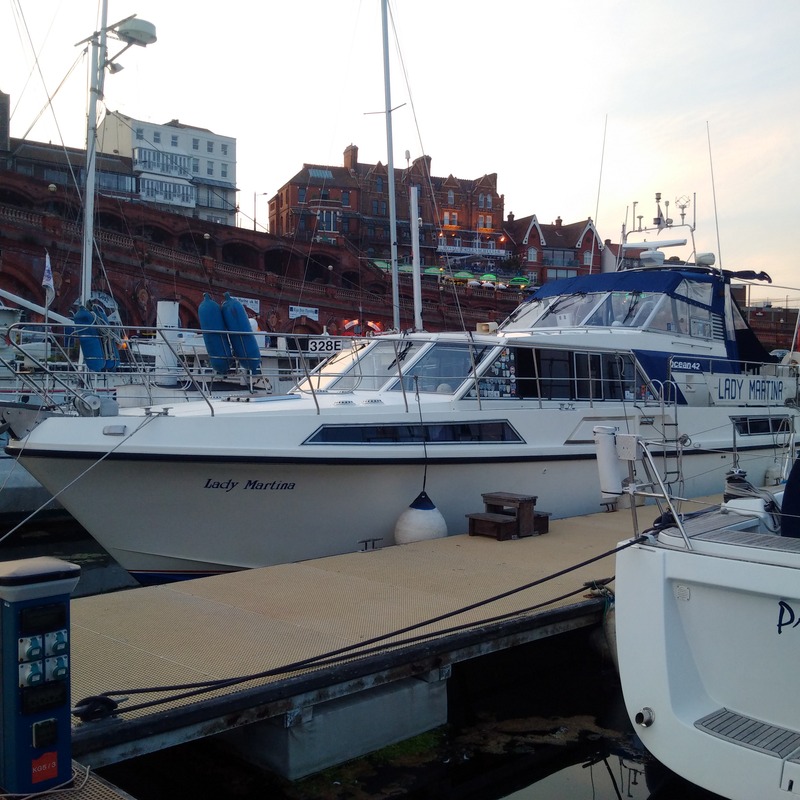 Before leaving, I could tell that the lock was going to be congested by the level of radio traffic and I wanted to leave earlier but nothing prepared us for the ridiculous delays that were to follow when we tried to leave Ipswich Dock. The problem was that there were two large trip boats, anxious to get their priority and the dock control lady was too generous in holding up traffic for them to exit the lock, go and pick up passengers and keep the same lock open for their return when the vessels concerned were plainly not yet ready to leave their moorings and proceed to the lock. This created frustration and delays and the traffic was backing up in both directions. Added to that the lock itself was poorly loaded with spare spaces unoccupied and seemed to be very slow, with apparently two sluices not working, so each ‘pen’ took ages. All this made us a full hour late in starting our cruise down the River Orwell and I had to push the 6-knot speed limit a bit in reaches where there were no moored boats, but the delay had at least meant that there was a following ebb tide to help us. That soon disappeared as we left Harwich and went well out to sea in the Thames Estuary to avoid the Long Sand and Kentish Knock sandbanks. 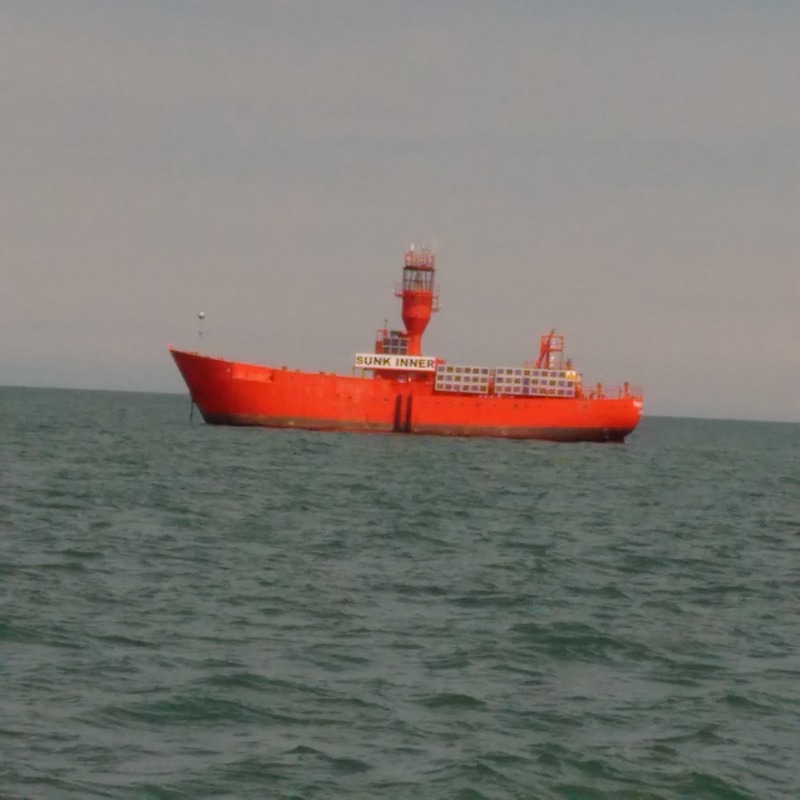 The flood tide helped us again once we turned south and headed towards Kent but that hour’s delay hit us hard in our final approach when we were late on the tide and fought an adverse 1-2 knot flow when approaching Ramsgate. The shallows off offshore produced their normal bumpiness when the tide was flowing and so I increased engine speed and sped in to the port. The bridge to the inner harbour was still open, but the fuel berth had closed and the pumps were all locked up and we then had the problem of mooring. I had spoken to Port Control before leaving Ipswich, and they had said that they would inform the Dock-Master of my expected arrival at 6pm, but by now we were an hour later and, whether or not there had been a change of shift or whatever I was not sure, but our arrival came as a complete surprise to him and he resisted our entry with three red lights. He then appeared to get into an argument with port control over the situation, saying that there was nobody there to assist me and give me an entrance key etc and was getting generally upset with his Dockmaster role being bypassed. Perhaps there is now friction at ‘The Royal Harbour of Ramsgate’ where demarcation could be an issue now that the responsibilities have reduced with the demise of the Roll-Ro Ferries, even though the huge Wind Farms nearby should had led to more activity to take up the slack. 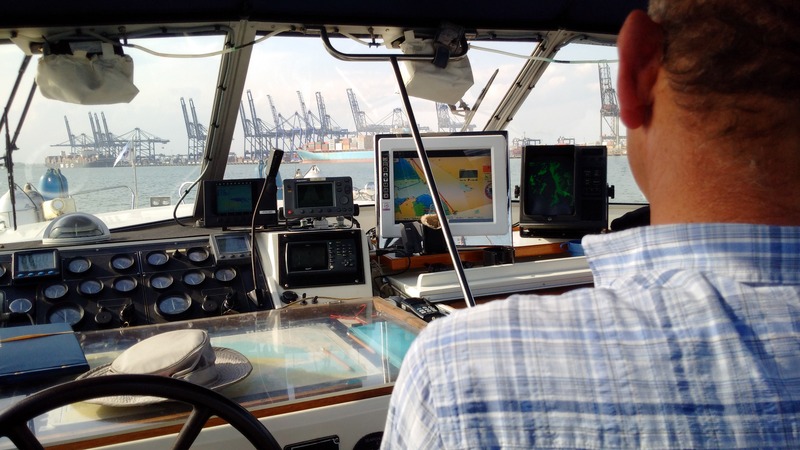 We have Port Control, the Marina and also this Dock-master all with their own roles and communication becomes a problem. There being no answer on my VHF call to the Dock-master, I ignored the red lights and took Lady Martina slowly through into the inner harbour anyway and a helpful young man on the ground waved us into a vacant berth, found us an electricity point and gave us a security key fob which he said was a ‘maintenance key’ which we had to make sure of returning. There were no hoses and so we used our own flat reeled one to wash down Lady Martina and fill her tank and then settled down for the evening and got things straight. Although I had said I was staying for 2/3 days there seems to be some huge storms coming in that time frame and so I might stay longer.